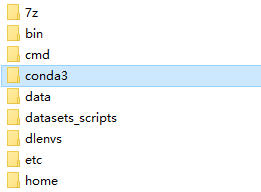 Hi, I would like to install Anaconda, but I found that it existed after installed Deep Learning Studio like the picture shows. Are they the same? But I couldn’t find a launch icon to start Anaconda. If I install Anaconda by myself, will it affect the running enviroment of Deep Learning Studio?